“The days they pass so quickly now, the nights are seldom long.” John Denver sings this in one of his songs, and I think it describes the life of a mother very well. The days have filled with activities and outings, trips out of town and gatherings with friends. I have several things to share with you. I’ll give you just a taste tonight of what we’ve been up to, and I promise I’ll get more posted in the next week. Classes are finishing up for the spring. One more marathon week, and then we can breathe easier for the summer. 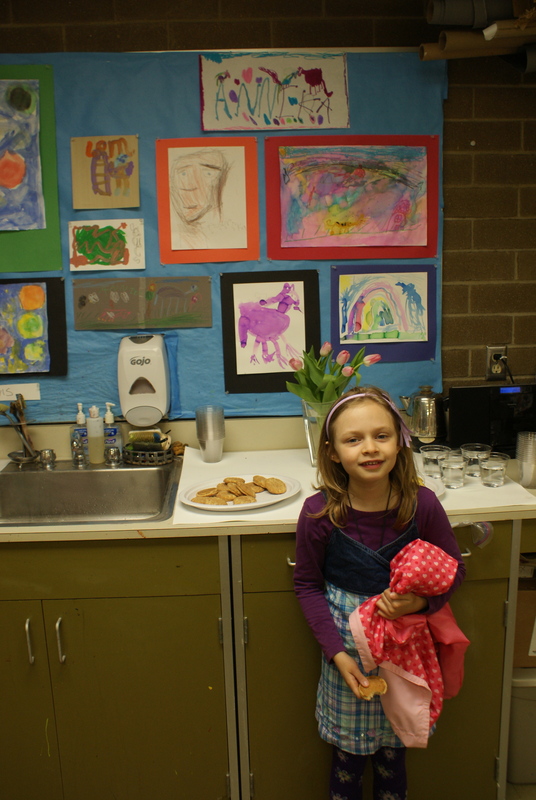 Annika’s art class showed off their talents for us last week. We drove to the drier side of the state to find some sunshine and flowers on Friday. We checked out two neat areas. 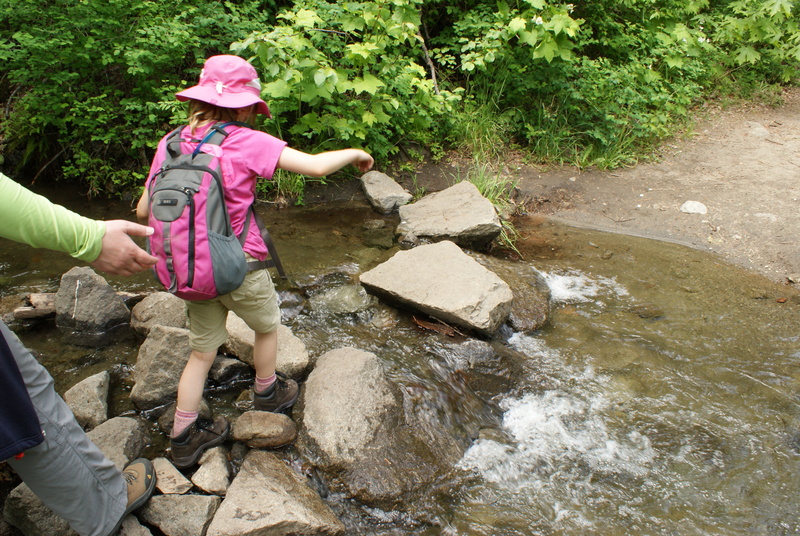 Here is one of the streams we had to cross on our hike. I’ll have a longer report coming out about our adventures. 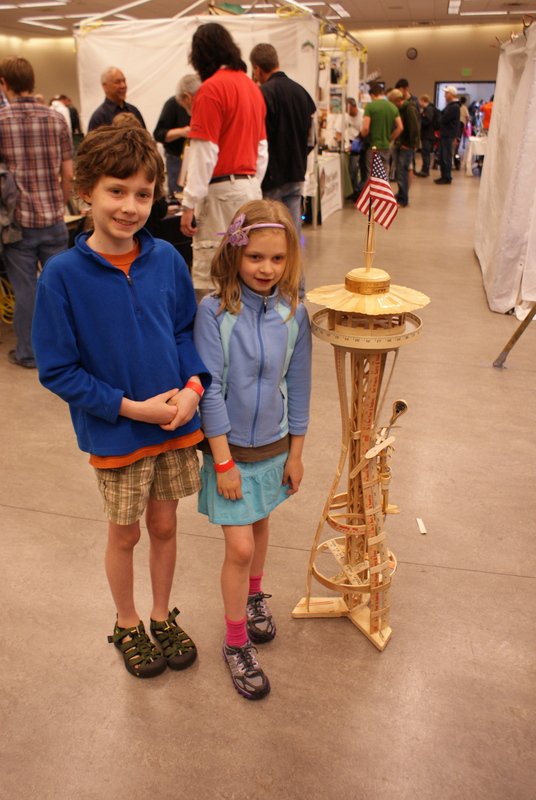 We attended the Seattle Science Expo and the Mini Maker Faire on Saturday. Lots to see and think about! We hit the beach today for the super low tide. 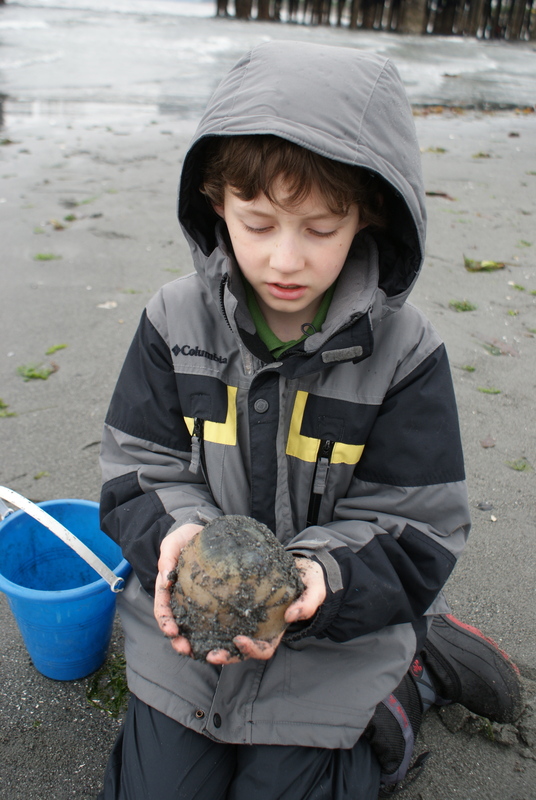 The weather was grey and cold, so we didn’t stay as long as we normally do, but we still found some cool critters. I’ll be posting more about many of our activities as I have the time. There’s obviously been a lot of learning happening around here!